We are a creative sewing and fabric quilt shop, specializing in island style quilting. We carry Hawaiian, Asian, Batik fabrics with many tropical patterns & quilt kits. 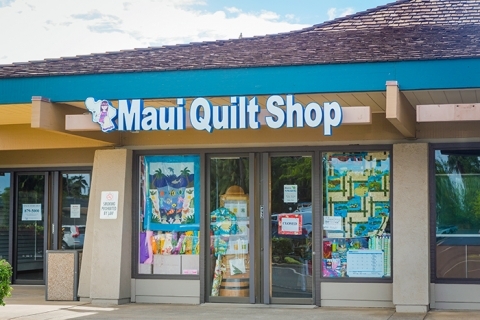 Handcrafted gifts, finished quilts & more can be found at the Maui Quilt Shop.